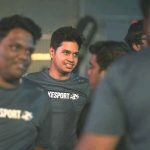 The first match of the Indian Regional Finals (IRF) between OpTic India and SRA began with OpTic India banning mirage & cache, picking up overpass. Their counterparts, SRA banned train and nuke while picked up dust II. Inferno went onto being the decider. Overpass started with a classic B-site rush from OpTic India with Forsaken getting two quick entries but rest of the squad couldn’t find anything more than a bomb-plant and SRA bagged the first round of the match. OpTic went ahead with upgraded pistols in the second round and successfully secured a buy for the third round by getting another bomb-plant at the A-site. OpTic took the third round with a quick A-site hit and caught A-defenders off-guard. Fifth round, being a full buy-round for both the teams, OpTic rushed B-site again and successfully won the round. The_Guru saved his AWP for the successive round and got the entry for this team but quick double-kill from Haivaan made sure that his side doesn’t go down to pistols. In the ninth round, The_Guru went for an aggressive connector peek but he miserably failed and his squad had to suffer with an early disadvantage. The tenth round started with an incredible flashed-kill from DreaM but forsaken rushed A-site from the long and got the bomb planted; nonetheless, SRA secured the round with a crucial triple kill from aFlekX. OpTic rushed A-site, mid-round through the incendiary and catched the opponents off-guard to grab the eleventh round. OpTic went ahead with a quick B-site hit to secure the succeeding round. Marzil took an incredible ace, rushing the B-site to make the scoreline 10-3 in the favor of OpTic. OpTic getting pretty obvious with the B-rushes, it lost the fourteenth round with DreaM and MaChO getting 2k each. 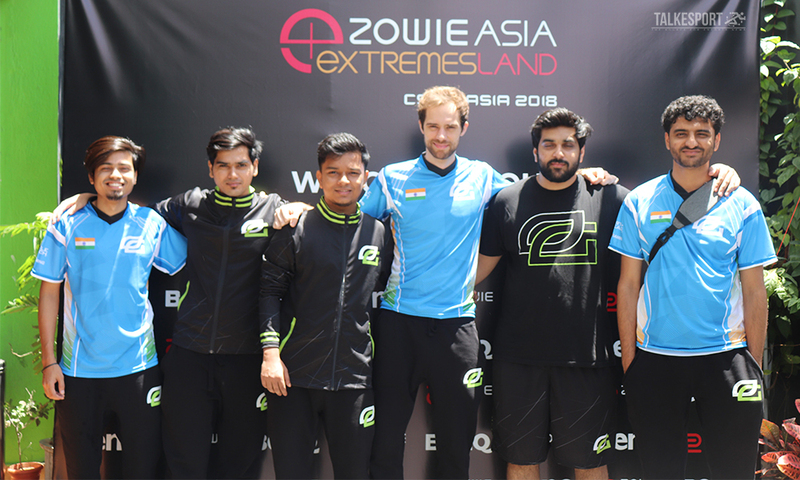 First half of the first map ended 11-4 in the favor of OpTic India. OpTic, on the CT side rushed the B-monster tunnels to fetch some early information and they won it pretty convincingly with yb shutting down Negative on the lurk. OpTic didn’t go down to pistols in the following two rounds and scoreboard appeared 14-4 in the favour of OpTic. At the end, first map went into OpTic’s bag 16-4. Second map was the SRA’s pick, Dust II. OpTic decided to start on the defense, pushing SRA to play on the terrorist side. SRA had a full-armour buy and The_Guru made some noise at A-short which cleared up mid-defense and rest of his squad rushed the B-site; SRA didn’t lose a single player this round and grabbed the pistol round. In the succeeding rounds aswell, SRA didn’t crumble against the pistols, making it a 3-0 for the boys from Kolkata. OpTic, after losing early battle, went on to winning the next three rounds; equalising the scoreline 3-3 and destroyed SRA’s economy. In the seventh round, SRA did some serious damage but in the end, forsaken clutched it against Negative. SRA finally managed to get a full-buy in the eighth round; the boys from Kolkata executed a B-site split and managed to get the bomb down but Antidote clutched an insane 1vs2, barely defusing the bomb. In the following round, OpTic took the aggressive stance but SRA got an early 3vs5 advantage, shutting down high-mid push and won the round; breaking OpTic’s economy. OpTic had aggressive positioning at A-short and B-tunnels with the upgraded pistols and they were successful in saving three AK-47s for the upcoming round. The scores tied at 5-5. SRA decided to hit the B-site, initially trading the kills but they couldn’t close down the round and OpTic took the lead 6-5. The twelfth round went in the favor of OpTic fighting against some upgraded pistols but the OpTic squad couldn’t get a single kill in the succeeding buy-round against the raw firepower of SRA. First half ended 8-7 favoring OpTic India. OpTic had a quick A-site split with yb buying the essential utility in the pistol-round of the second half. OpTic won the six two rounds but the SRA’s defense did retaliate in the twenty-second round on the back of The_Guru’s triple kill in the B-site. The scoreline appeared 14-8 inclined towards the boys from OpTic. OpTic took the second map 16-9 and advances to the upper-bracket finals where it’ll face the winner of Entity-Brutality match-up. Next articleEntity defeats Brutality to meet OpTic in upper-bracket finals.